She knew the City like the back of her hand. It had many names, but to her it was just the City. She lived in the poor section, the “Outer Ring.” The buildings were actually newer than in the wealthier sections, yet they looked older, black and scarred and in disrepair. Their dark windows yawned like the eyes of skulls. She knew their long faces like the faces of old friends. She sat atop one now, gazing down from the edge of the roof at the men and women walking below. She knew many of their faces too, though only a few knew her. Seldom did she walk among them, for she preferred to live above. There sat the homeless men on the street corners, begging for a pittance. There marched the pair of watchmen – just two men to cover so many streets. They would never notice her. At length she spotted a mark: a traveling merchant, obviously new in town. From the furtive way he glanced at every alley, she doubted he would soon return once he had left the City behind. Good. She ran to the corner of the roof, slipped over the edge, and plunged into the deep shadows of the alley below. Climbing the side of a building was as easy to her as running along the ground. She saw handholds quickly, jumped to them without fear, and she always landed on her feet. Some of her friends called her reckless… but then, she currently only had one friend. “’m ‘ere,” a boy murmured back, emerging from a dark doorway that led nowhere. He disappeared. Now alone in the quiet alley, the girl began taking deep breaths, working herself up, watching her narrow view of the dimly-lit main street. There were few streetlamps in the Outer Ring, and the moon was overcast. She heard the mark whistling. The sound of it echoed around her. It was a nervous sound. She imagined herself as an alley cat – it was a name some had called her, among many others – and pictured the mark as a dim-witted bird, strutting helplessly past her hiding spot. She pounced. It was the simplest of attacks: she charged headlong, barreling into the merchant and knocking him to the pavement. He had been carrying a package under his arm. Now it lay in a distant corner, next to some stairs. The merchant, after getting back to his feet, glanced back at the package, and then at the girl in front of him. She lay on the ground, nursing a thin, pale arm, trying to look hurt. The mark looked at her with pity… for a second too long. From the corner of her eye, the girl saw the boy search the man’s dropped bag, rummaging through its contents. “Are you alright?” the mark asked, reaching down to help her. He was a slightly corpulent man, with a thick light-brown mustache and clean clothes. She nodded at him, saying nothing, looking up with her big green eyes. Those great green eyes, staring out from the little girl’s pale face, framed by her dark cloth head-wrapping… got them every time. The man looked distraught, as if he’d stepped on a baby. She let him hold up her soft little arm and feel of the elbow. There was, of course, nothing wrong with it. She knew how to fall without injury. It was a lesson she had learned from falling many, many times. Every time she rose up a little in the City, she knew she would soon fall back down. “What were you running from?” the mark asked. She looked back at the alley, green eyes wide with fright. Then she moved her feet, nervously and clumsily, tripping over herself so that the man had to catch her. She let him support her, while she went through his pockets. The moment the mark went back and lifted up his dropped bag, he noticed the difference in weight. He quickly glanced back to the girl – but she was gone. He checked his pockets, confirming his suspicions. Then he spat out a furious curse, scooped up his bag, and ran toward the dark alley from which the girl had come. He ran in so fast that he nearly bumped into a second child, this one a boy. He was a poor boy with messy brown hair and a scar on his lip, but not a total vagabond. His clothing marked him as part of the merchant middle class, not unlike the mark himself. “Outta m’ way, if y’ please,” said the boy, mixing rudeness and courtesy in a way that left the merchant babbling for an appropriate response. The boy shook his head and gave a final dismissive wave of his arms before dashing off down the pavement. The disgruntled merchant chased after him, but once he reached the street, the boy was gone. Much as the mark had expected. Taking a deep breath and letting it out in a half-sigh, half-curse, he tossed his empty bag aimlessly away and stomped down the middle of the road, hands buried deep in his bare pockets. The girl leaned out over the rooftop, looking both ways down the street. The faces of the city buildings looked back at her, impassive. The mark had long since been swallowed by them, as he made his way along the twisting grey road to wherever he was going. Visitors to the City often left poorer than they had come, she thought, unwillingly providing for those who lived here. Shade dug around through the various hiding places on his person. He was well known among the vagabonds for his well-tailored clothes, old and worn now though they were. For a few years, he had worked at a cleaner’s, where he learned how to wash and sew. But then some of the other urchin boys had teased him, saying he did a woman’s work and calling him “Needle-boy.” So a few days later he put on the best tunic, vest, and trousers he could find at the cleaner’s, grabbed an armful of any other valuables he could carry, and fled to another part of the City. Whisper didn’t know his real name. He had asked her to call him “Shade,” probably because it sounded tough, but the name Needle-boy was not inaccurate. Using his skill at needlework, he had sewn hidden pockets into nearly every part of his outfit, allowing him to ferret away valuables so that they seemed to just disappear. He’d taught Whisper some of what he knew, but only reluctantly. He didn’t like to tell the story of how he’d done a woman’s work. Whisper never brought it up again. Suddenly Whisper’s ears – covered though they were by the dark shawl wrapped over her head – perked up, and she looked away at the other rooftops. While most of the inner city was decorated by tall pillars and beauteous domes, the Outer Ring had many flat rooftops, almost like the tops of castles, with stairs leading up to them. But Whisper and Shade never frequented those. They were currently sitting on a low-sloping, shingled roof with no easy access. “What is it?” Shade asked. “Were you followed?” Whisper hissed. Whisper sank down low, watching a loose pile of wood on the neighboring roof, where she had seen something glint in the shadows. A pair of eyes, her instinct said. And she trusted her instinct. “We need to go,” she whispered. She saw a man emerge from behind the wood pile. He was clad all in dark leather, with a black hooded cloak, and mask of dark red cloth over his mouth. She spotted a dagger sheathed at his side, just before he started running toward the edge of the roof… running as if to jump across. Whisper leapt to her feet, pulling Shade up with her. They made the jump to the next roof easily. That was what she had trained Shade how to do. When she’d met him about a year ago, he’d only been a decent climber. Now his skills were almost a match for hers, though he never came close to her sheer effortless grace. They sped from building to building, sliding down one roof, leaping to the next, climbing up the stonework, changing direction… and yet, every time Whisper looked back, she would catch a glimpse of the shadow that followed them. Her heart was in her throat now. Never before had she encountered such a relentless pursuer. She had crossed the night watchmen from time to time, but they gave up quickly, and never had even one of them tried to follow her up a building, much less from roof to roof. She stayed beside him, muttering a curse. But she did not have to regret the decision for long, and she quickly realized they never could have escaped. For in the blink of an eye, there appeared not just one hooded figure, but two. The second man rose up in front of them, vaulting onto the roof as easily as Whisper had ever done, even though he was nearly twice her height. The two kids exchanged glances. Willem removed his mask and cowl, revealing his face. It was a handsome face. He had youthful features, sandy blond hair, and friendly light-brown eyes. He looked at the two of them with great wonder, as if he were truly interested to learn their names. Everything about his demeanor and voice spoke of warmth and kindness. Whisper didn’t trust him one bit. “I think we should go with them,” Shade said. With that, the girl took off. She managed to make it all the way to the edge of the roof before, in a few great strides, the dark-eyed man caught up to her, grabbing her by the legs. She fell on her face, and her shawl was shaken loose, freeing her long black ponytail… and her ears. She looked back at the two men with terror in her wide green eyes. She even saw Shade staring at her ears again, like he always did, every time. She wanted to slap him. She remembered when the Temple Knights had come for her. She’d overheard the priestesses talking to them, saying they were to take her back to the elves. She still wasn’t sure why she’d fled: fear of the unknown, anger at the priestesses for throwing her out, for trying to control her life… Whatever the reason, she had covered up her ears and left through a window, never to return. The City was her home, and although life was hard sometimes, she felt free on the rooftops, looking down over the familiar streets. It was the only home she knew. These were her last conscious thoughts before the dark-eyed man held the cloth up to her face, and her world went black. When Whisper awoke, she wondered if she had somehow been transported to an elf kingdom, for standing above her was the first elf she had ever seen outside of her own reflection. Her features were severe yet perfect, with pale skin, high cheekbones, and brows that gracefully arched over her pale blue eyes. Her long, smooth hair was such a pale blond that it looked nearly white. She had it braided to proudly reveal her elven ears, which were shorter than Whisper’s, yet as pointed as arrowheads. Whisper stared in amazement, but she quickly noticed the elf’s dark leather armor, similar in design to that of the two men who had attacked her and Shade on the rooftops. She also wore a long cloak of the same shade of deep red as the other men’s masks. “She’s coming around now,” said a cold voice, and Whisper turned her head to see the dark-eyed man looking down at her with utter indifference. The elf scoffed and stomped away. Whisper found herself wanting desperately for the elf woman to stay, wanting to ask her about the ‘Alfar’… but when she tried to call out to her, the elf was gone before Whisper could summon her voice. The dark-eyed man, Hanan al-Saffah, left as well, through the same door. Perhaps they were going to hunt down more children. Whisper sat up and looked around. The long room was full of beds, each bearing two sleeping figures of her own size… “children,” as Willem had called them, though in fact most were in their early to middle teens. Whisper was unsure of her own exact age. She only knew that her friends seem to grow much faster than her, leaving her behind one by one, year after year, as they moved on to what they called adulthood. He led them all into what Whisper assumed was the main hall of the building. It was a great, square, unadorned stone box lit by torches on the otherwise bare walls. The ceiling above was wood, supported by criss-crossing beams from which dangled a few loose ropes. Otherwise, the room was featureless. There were no windows, there were no decorations, and the only bit of furniture in the room was a cushioned chair resting atop a wooden stage. In the chair sat an old woman who could only be the Mother. Her hair was stark white, tied into a tight bun, and though her face was wrinkled and gaunt, she sat straight as a pike shaft, clad in smooth, spotless dark red robes. A pair of black-gloved hands extended from the robes’ loose sleeves, tapping their thin fingers together under the old woman’s chin as her pale blue eyes roved the faces of the two dozen or so children. Her gaze landed on Whisper and stayed there for several seconds. Whisper returned the stare without flinching. The old woman nodded, as if in approval, and then continued her survey of the room. A rod appeared in her hand – Whisper wasn’t sure if it was a riding crop or a sap – and she slammed it on the arm of her chair. The sound echoed through the great stone box of a room, and the crowd fell silent, staring. She motioned for them to sit, and they did. Whisper crossed her legs on the cold, slick wooden floor. Whisper looked at the wide-eyed children around her. All of them seemed fascinated. None were quick to reject the Mother’s offer. None except Whisper. She hated this place, this oppressive room, these strange people… She felt at home on the rooftops of the City, beneath the open sky. Life on the streets had been hard at first, when she was truly a child, and it was still hard sometimes, but… it was home. She felt a sort of freedom there. Not like here, boxed in by huge blank walls. This was absolutely fantastic. The descriptions of the city-scapes and Whisper's relationships with the other street rats and her own oddities of being an elf were really interesting and engaging. I really like the mystery and mistrust you've got going so far, and I'm really curious to see where it leads. Overall just awesome, well written, and interesting, I can't wait to read more! EDIT: Oh I totally forgot to mention, but I really like Shade, he seems cool, I can't wait to see more of him. Yay! 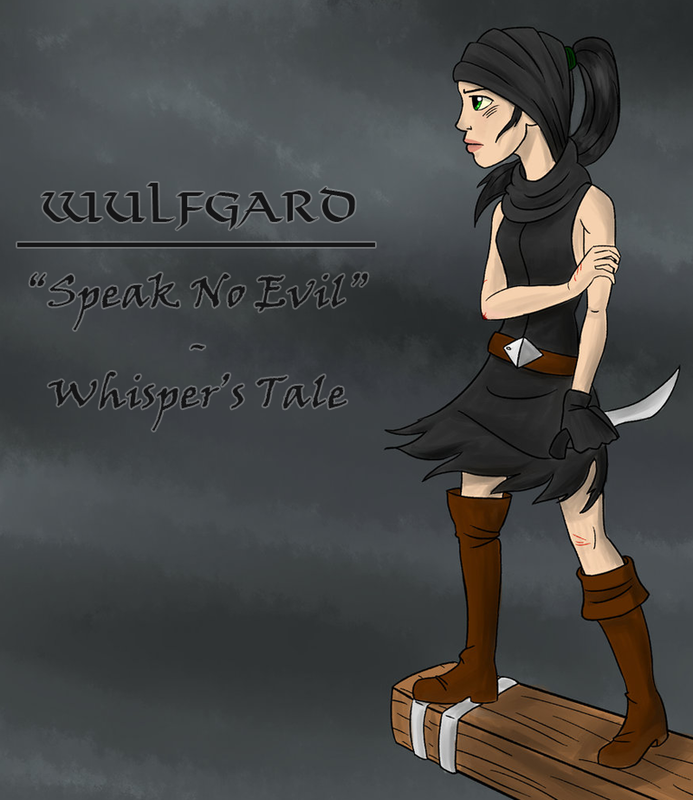 A new Wulfgard story! And it's a backstory to Whisper! Ooooooh! Will this one update? I positively loved it! The descriptions were fantastic! You really brought the cityscape to life and I liked that. Your characters are also really well rounded, even in this short segment! Really great read, I can't wait to see where this will go. Huzzah! It's good to see you taking a (virtual) pen to short stories again. I've been having trouble finding the ones you used to have on the site, but that's just an off-topic gripe that has no place in the presence of such awesomeness. I look forward to learning the backstory of Whisper, she's looked impressive throughout your various drawings. For the next several weeks, Whisper lived in the great stone box. That was what Whisper called it in her mind: the Box. She still had never seen a window or a door to the outside world. One room contained stairs leading down several floors, but there were none leading up. There was only a trap door on the roof far above, and none of the instructors ever opened it. Her first task had been in the room below, which contained a labyrinth full of obstacles and traps. The children were sent into the maze to find a golden key. Whisper had immediately observed that the walls of the labyrinth did not reach all the way to the ceiling. Several others noticed this as well, but none of them could even hope to jump high enough to reach the edge, at least ten feet above. Whisper did it almost without thinking. She found the widest corridor in the maze, ran toward the wall, took a few steps up the side of it, and grabbed the top. Then she pulled herself up. The upper edge was not even six inches wide, but she balanced on it easily, running lightly along and searching each corridor below. It wasn’t long before she spotted the key, retrieved it, and returned, without ever facing a trap. Her instructors had mixed reactions. There were only five of them, the strange men and women in the dark leather and red cloth. The leader was the Mother, who merely gave another of her mysterious nods when Whisper returned from the test. Whisper sensed that she was satisfied. The next in rank of importance seemed to be the dark-eyed man, Hanan al-Saffah. Everyone spoke of him with great respect. He just looked at Whisper with cold contempt. Willem, of course, smiled and laughed, congratulating her on her ingenuity. There was also another man, but Whisper saw little of him, and he never took his mask off. And then, of course, there was Seona, the female elf. When Whisper beat the maze test, Seona just smiled smugly, looking around at the others to rub Whisper’s victory in their faces. Even this expression could not diminish her otherworldly beauty. Whisper ached to ask her about her people, the ‘Alfar,’ but as usual she could not summon the courage to speak. She continued to curse herself about that, for she had not seen the elf since then. It had now been several weeks – Whisper had lost track of exactly how long – since she had been outside the Box. Over the course of that time, she had learned much, while also impressing her instructors with the skills she already possessed. It was not a bad life, for a life in a box. At least no one would run her out of it, and she had plenty of food. Her bond with Shade had grown, though she continued to keep her distance from the other children as much as possible. She had also grown to like Willem, the kindly instructor who was always smiling. Though at first she had thought his kindness insincere, his continued good treatment of herself and the other students eventually won her over. Worst of all was the dark-eyed man, Hanan al-Saffah. There was something in his eyes that made a chill run down Whisper’s spine. Today, he was to teach them more combat techniques. The children always carried blunt wooden knives now, tucked in their belts or shoes if they had any, or else on a bit of string slung over their shoulder or around their waist. The instructors had taught them how to use the daggers to ‘silence’ watchmen, even ones wearing armor. At first, Whisper had found it a little unsettling, but she had been abused by the city watch on many occasions, and had more than once wished she could defend herself. “I hate Hanan,” Whisper said to Shade as they headed toward the main room for their training. 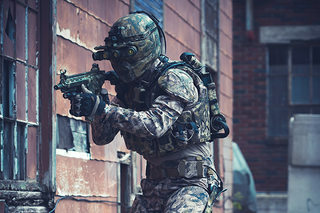 “They won’t tell us who they’re training us to fight…” Whisper muttered. At length they joined the rest of the children seated in the great Box, waiting for lessons to begin. The only instructor present was al-Saffah. He sat cross-legged on the raised platform, at the feet of the Mother’s chair, watching them with his black eyes. The room was utterly silent, until one boy, whose continued good performance in the combat trials had perhaps bolstered his courage, spoke up. After another long moment of silence, Hanan at last leapt softly down from the platform. With a wave of his hands, he instructed the children to form a ring, leaving the central space open. This was where he would train them to fight. Whisper and Shade exchanged glances. They were already sitting together, so they did not move. The others knew not to ask them. They were well-known to be a team. For a second Whisper sat frozen, hoping that he had meant someone else. But Shade quickly stood, glancing down at her with slight annoyance on his face. She swallowed her fear and joined him in the ring. It was more of a statement than a question, but they both nodded. Whisper’s eyes went wide. She reluctantly reached for her wooden blade, but Shade had already drawn his and was turning to face her. He gave her a shrug and dropped into a defensive position. Shade immediately made a clumsy attempt at a surprise attack, which Whisper dodged almost by reflex. Shade did not relent. He continued stabbing and slashing, swinging wildly at her, as she ducked under and sidestepped and leapt away from each attack. He only grew more furious as she led him around the ring. It was slightly terrifying, but Whisper kept her cool, stepping always lightly away, as if it were a dance. At last Shade slowed down, panting for breath. Whisper suddenly realized she could beat him easily. All she had to do was keep avoiding his attacks, and he would tire himself out. Then she could move in with ease, and defeat him with one or two quick strikes. But one look at Shade’s blazing blue eyes made her hesitate. His eyes were overflowing with pride and determination. He did not want to lose. If she humiliated him here in front of everyone, he might never forgive her. She had to let him win but make it look like he had really beaten her. She moved in for a clumsy lunge, which he blocked with a swipe of his arm. He used the opening to stab at her with his wooden blade, but she rolled away. Once back on her feet, she dropped into a defensive pose, waiting for him to resume the attack. “Enough of this farce,” said Hanan al-Saffah. He waded into the ring, grabbing Shade from behind. In the blink of an eye, the boy was disarmed and face-down on the floor. Then Hanan advanced on Whisper, wielding Shade’s wooden knife. He took a stab at her, which she dodged while trying to strike his throat. He ducked under her attack and slashed open her stomach. Then he grabbed her arm, twisting it painfully, and pinned her to the ground. He grabbed her ponytail in his fist and jerked her head back, stretching out her long pale throat, over which he ran the wooden blade. Then the knife went up to her ears. She felt the cold wood run along each one, all the way to the pointed tip. Whisper had been trying not to scream, but she could take it no longer. Just when she was about to cry out, a familiar old woman’s voice came from the direction of the raised platform. The voice was not loud, yet all fell silent to heed her words. “Release her,” the Mother said. Hanan let Whisper go and pushed her to the floor. She rolled to one side to absorb the impact, then rolled quickly back to her feet. She looked around at all the staring faces, especially Shade’s. Thankfully, he did not look angry with her for trying to let him win. His eyes only showed fear and pity. “You haven’t met my real sister,” Hanan said, and left it at that. Hanan did not have to say anything; Whisper and Shade were eager to follow the old woman and escape more of al-Saffah’s brand of training. The Mother led them out of the main “Box” and into the stairwell. Whisper had been to the floor below, which contained the labyrinth used for many of the training exercises, but the Mother led them even lower, down another flight of stairs. They entered a narrow hallway lined with closed doors. Whisper got the distinct impression that they were now underground. There was no way to be sure, as there were still no windows anywhere. It was probably just her imagination, but she started breathing shallow anyway, as if they might run out of air. She hated being underground. The Mother unlocked one of the doors and waved them inside. The room was nicely furnished, compared to the ones above. It contained a long mahogany table surrounded by tall-backed chairs. There were even some pictures on the walls, paintings of noble men and women, some clad in very exotic clothing. A great iron-bound chest sat at the far end of the room, bound with a heavy lock. “The highest art,” said Hanan al-Saffah, who had slipped into the room behind them. “Did we fail?” asked Shade, trying to mask the shame and fear from his voice. Just then, the other instructors entered the room. None of them sat down in the chairs. They just gathered around the two children, smiling. Willem leaned against a wall. Seona perched herself on the corner of the table, one long leg dangling as she twirled a knife expertly between her fingers. Whisper stared into the old woman’s eyes, not speaking. Shade glanced between the two pairs of eyes – the bright green and pale blue. Neither the girl or the old woman flinched. The silence was only broken when Willem took another bite of his apple. The Mother looked annoyed. Suddenly, one of her arms shot up, and a dagger flew out, straight into Willem’s apple. The fruit was launched out of his hand and pinned to the wall by the blade. “Don’t eat in the council room,” said the Mother. “We can’t read anyway…” Shade said. The room fell silent then. Willem and Hanan were exchanging glances, shaking their heads at Seona’s comment, but the elf ignored them, keeping her frosty-haired head pointed high. Whisper found that she was shaking all over, whether with fear or anger, or nausea, she was not sure. She saw to her relief that Shade was trembling as well. The old woman left then, and the others filed out behind her, leaving the two children standing there in a daze. Willem was the last to go, but he paused when he heard Whisper speak softly. “I can’t believe you’d murder a child,” she said. Willem realized the message was for him. He paused and turned back, looking at them with his usual kindly smile, which Whisper now saw as condescending. He sighed, looking at the doorway and at the room around them. Then he seemed to make up his mind about something and took a painting down off the wall. He crouched down on his toes in front of them and held up the picture. It was an image of an old man dressed in fine clothing, his face pale and worn with wrinkles. 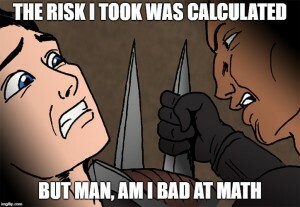 “So you became an assassin?” Shade asked. His voice trailed off there. At length he stood up, replaced the picture, and headed for the door. As he left, he looked back at them one last time. Eventually, Shade shrugged, slid out of the chair, and stood up. Whisper’s head shot up, and her green eyes, glistening with tears, looked daggers at him. Without a word, she stormed out of the room, slamming the heavy door behind her. Through the halls she ran, up the stairs to the main floor. She slowed down then, to avoid drawing attention, as she slipped through the other kids and headed for the sleeping quarters. Once there, she threw herself down on her bed and hid under the sheet, trying to block out the world. Only one thought kept repeating in her mind: She had to escape. Wow. That was fantastic! I'm very upset about that cliff hanger though. The narrative and plot are glorious! I seriously am excited for part III! Absolutely superb! It's interesting seeing the weaker-minded Shade justifying the murder so quickly, while Whisper obviously has moral objections. Assassin organizations are always fascinating for characterization. "How do they come to terms with the killing?" is a question we must ask, and you have given an entertaining myriad of answers. I'm looking forward to seeing how Whisper tries to escape their wrath once they notice her desertion. I love it all, Scorp! The backdrop to the story is lovely and mysterious. The tone is eerie and tempting. The writing flows smoothly, like Whisper's movements, and the story is engaging and inviting. I'm looking forward to the next part, although I'm disappointed it will be the last. I really like what small glimpse you've given us of the Silent Messengers and their gruesome goings-on. It give, me at least, a slightly better idea of the depth of Wulfgard and all the people and factions that inhabit such a tenderly crafted realm. The characters are great too. All figures I find intriguing and individuals I want to learn more about, which encourages further reading. All-in-all, you've got yourself a splendid smidgeon of writing here, sir! You've whet my appetite for more pieces of this nature. Whisper did not come out from beneath her covers until all of the students had gone to bed and the room had fallen quiet. Now she poked her head out to utter blackness and silence, broken only by a few snores. More than ever, she felt trapped. The walls seemed closer than before, the room smaller. She felt she was being suffocated in this horrible box, this school for murderers. Now her natural talents and all of her training truly would be put to the test. First, she waited and listened. Surely some of the assassins would be watching the children. But if they were, she could not detect them. After a few minutes, she slid out of her covers and dropped quietly to the floor. Crawling on all fours, she moved between the beds, trying to remain invisible as she headed for a door to the main room. Fortunately, there were no actual doors on the openings, so she was able to slip right out. Now the main “box” yawned before her – a great void, lit only by some stray candlelight trickling in from the sleeping quarters. The torches on the tall stone walls sat dead. For several minutes, she waited quietly, her eyes and ears adjusting to the gloom. Yet once again, she caught neither sight nor sound of any watching assassins. All she heard was the faint squeaking of mice on the rafters up above. For a minute or two, she searched the walls for the best location, finally settling on a rope that dangled high above a torch mount. The sconce was too high for her to reach, but she was able to do it with a running start, like she had done in the maze. She ran two steps straight up the side of the wall and then caught the torch and hauled herself up. Now perched precariously on her tiptoes atop the narrow bit of metal, she carefully stood, scanning the wall for handholds. The stonework was nearly perfect, smooth as any she had ever seen. But she could handle it. First she leaned against the wall and took off her shoes, one at a time. Then she pressed her toes into a shallow crevice, taking great care, testing her body weight before she continued. It did not take her long. One foot, one hand, and another and another, and soon she could see the shadow of the rope dangling just overhead. She reached out and grabbed it, keeping her feet on the wall as she climbed. It was almost like walking vertically. Now she could see the rafter clearly. A mouse sat atop it, staring at her with tiny black eyes. It scurried away when she put her arm up around the beam. She hauled herself up. There it was: the hole in the ceiling that the rats were using to come and go. It was just above the point where the rafter connected with the stone wall. Lying on her back on the wooden beam, Whisper put both her feet on the plank above – the one with the hole – and pushed. To her surprise, it snapped immediately, the sound echoing through the room. She caught the board and set it down on the rafter, before it could plummet to the floor far below. Her position had surely been announced already, but she didn’t want to make any more noise. She didn’t like noise. Up she went, through the hole and into the room above. Moonlight. This room had windows, looking out over the City below. She ran to one and gazed out, taking a deep breath of the free air. Never before had she felt so glad to see those filthy grey streets and the long faces of the dark, narrow buildings of the Iron Ring. Yet she knew she could not look for long. The assassins might be headed to her now, investigating the sound she’d made. Turning her eyes back to the room itself, she quickly saw it was a storage area. There were crates and chests everywhere, and one very well-crafted writing desk with a chair. Whisper only saw one entrance, which she quickly moved to barricade. Putting her shoulder against one of the large crates, she pushed with all her might, sliding it slowly in front of the door to block it. Hopefully that would delay them reaching her. The boxes were very heavy. Looking around the room again, she spotted a long knife atop one crate and used it to pry a box open. Inside were yet more knives, but these were unlike any she had ever seen before. They were solid black, from the tip of the blade to the end of the hilt. The hilt itself was misshapen, more like a ring than a handle. Each was one solid metal object, its “blade” pointed but the edges dull. They were symbols, not weapons. She knew exactly what they were. These were the emblems of the Silent Messengers. The Silent Messengers were legendary, so much so that Whisper had thought them merely a myth. Stories said they were a cult of assassins that had originated in the deserts of the far South and then spread throughout the West, for there was always someone in need of their services. They were famous for slipping into a target’s home completely without warning, leaving no trace of their presence… except for a single, signature black dagger near – or in – the body of their victim. Some people called the dagger ‘the Message,’ but that was not the real message that the Silent Messengers delivered for their employers. It was something utterly silent, yet louder than words. The true message was death. Then her eyes landed atop the writing desk. There lay the very same contract she had seen earlier that day, in the black-gloved hands of the Mother. She could not read it, of course, but she recognized it instantly: the contract for a little girl who was probably fast asleep right now, blissfully unaware that someone had signed her death warrant. The sight of the little scroll made Whisper sick, but it also steeled her resolve. She rolled it up and took it with her. She also took nearly everything else she could carry. She strapped a quiver of arrows to her back, took a bow and a long leather whip, some food, and a pair of tall black boots. Finally she took a long black cloak and pulled the hood up, tightening it over head to cover her ears. She left the obsidian daggers where they lay. And then, without another look back, she slid out of a window and into the night. Returning to the rooftops of the City felt like coming home after a long and harrowing journey. She took a deep breath, filling her lungs with the putrid urban air – putrid, but free. She could go anywhere she liked, and she knew just where she would go first. What was it Willem had said? She lives in a manor at the corner of Gold Way and Wallshadow, overlooking the slums from the heights of the Silver Ring. Whisper began moving in that direction. She knew most parts of the city like the back of her hand, and up on the rooftops she could travel more quickly than anyone walking or even riding the streets. Besides, it was easy to find the way to the Silver Ring. Each circular district of the City, moving inward, was slightly higher than the previous one. The Silver Ring loomed so far above that the nobles had even built bridges right over the breadth of the Iron Ring so they would never have to pass through its squalid streets. The Gold Way was one such bridge boulevard, stretching all the way eventually to the City’s innermost Gold Ring; and Wallshadow was a road that ran right along the edge of the wall separating Iron from Silver. Whisper could see them even now, the shadows of wall and bridge standing out against the starry sky. As she drew closer, she could make out the upper floors and pointed towers of the great manor where the Messengers’ target must live. They overlooked the slums quite literally. Whisper’s great eyes widened, her pupils fully adjusted to the darkness, able to make out every detail of the distant house high above. A window was open. She silently thanked whatever gods might be, for making her job easier. She knew of only one way to send a message to the family inside… a much friendlier message than the one the assassins wanted to send. She brought out the contract, the one for the little girl’s death. Then she drew an arrow and wrapped the scroll around the shaft, tying it tight with a bit of string. Finally she put the arrow to her bowstring and drew it back. She was no expert archer, but she had experimented with bows and arrows before. One of her friends – the ones who had all moved on in life and left her behind – had been a great hunter. He had taught her how to shoot birds right out of the sky. The well-lit open window was a more stationary target, though much farther away than most of the birds she’d shot. There was no wind, for which she was thankful. Aiming high, she tried to imagine the flight of the arrow… and then she let it go. It sailed straight up toward the window, fell slightly, and hit it on the edge, bouncing right into the house. Whisper let out her breath. At least that had worked. She could only hope some servant would find the arrow with the contract and would take it back to the master of the house, or someone else who could respond appropriately. It was the best she could do for the girl and her family. Now Whisper had to worry about herself. Out of the corner of her eye, she saw them. Most would not have noticed, but her every keen sense was on high alert for just such a sight: a dark figure, moving through the shadows of her rooftop domain. The figure was many buildings behind her, on a lower roof, but she knew there would be more. The assassins were following her, and they would catch her eventually. She had to go somewhere safe, but where? There was but one real answer to that question. Whisper’s eyes turned away from the Silver Ring, roving in the opposite direction: the outer wall, the edge of the City. There were many watchtowers along the wall, and she knew just which ones were well-garrisoned. The main tower of the city’s night watch was just where one would expect it: at the main gates. She could see the pointed towers of the great barbican from here, decorated with the mostly crimson flags of the Achaean Empire, Coronaria, and the First Legion, among others. She headed in that direction, running and leaping and climbing, all while keeping her eyes on every shadow for movement. Yet she knew her plan was shaky. Even if she begged the watchmen to help her, they would probably just chase her away. Street urchins were always playing pranks on the watch, and they didn’t care enough to risk their already difficult job on the word of a dirty little orphan. Whisper almost wished she had taken one of the Silent Messenger daggers, though even then they might not believe her. They might even arrest her for questioning. At length she arrived. She found herself gazing down at the city’s great Southwestern Gate. Though perhaps ‘gazing down’ was not the best way to put it, for though she stood on a rooftop, the towers of the gate fortress still loomed far above her. She could see lights in the towers’ arrow-slit windows, and far below, the watch patrols kept arriving and departing like clockwork. Most of the guardsmen wore full suits of mail, with short swords and steel helmets, axes and halberds. The assassins with their leather and daggers would stand no chance against them in a real fight. But how to get their attention? She was just beginning to ponder this question when she heard the slightest sound behind her. It was soft, so soft that it would have been inaudible to most ears. Even Whisper almost dismissed it. But at the last fraction of a second, she whirled… and the assassin’s knife cut a hole in her cloak, barely missing her skin. She did not turn to fight, or even look long enough to identify her assailant. She simply fled, right over the edge of the roof. Somehow, operating almost purely on instinct, she made her way down safely. First she landed on the neck of a gargoyle, then leapt off to grab a flagpole sticking horizontally out of the wall, then dropped down into the branches of one of the few trees that decorated the street near the gates. Just then she saw a cart passing by. It must have been a merchant who had just entered through the main gate, his wagon was loaded down with boxes of goods. On a whim, Whisper ran gracefully along one of the old tree’s long limbs, and then leapt right into the back of the cart. The driver did not even have time to turn and face her before she had grabbed him by the shoulders and shoved him down onto his side. Then she stood up, planted a foot on his hindquarters, and pushed him right out of his seat and onto the pavement below. Whisper ignored the merchant’s shouting as she sat down and looked for the horse’s reins. Yet even with the reins in her hands, she had no idea how to make the animal speed up. In fact she hadn’t the slightest idea how to drive a cart or ride a horse at all. But she did have a whip. “Sorry about this,” she said to the unheeding beast as she uncoiled the whip from her belt. It only took one crack, and she was nearly thrown out of the cart as the steed whinnied loudly and took off at a gallop. She pulled hard on the reins, trying with all her might to steer the horse toward the assassins’ hideout. It took all her concentration to try to drive the animal in the right direction while clinging desperately to the bouncing cart; she could not bring herself to glance over her shoulder to see if any guards or assassins were giving chase. She just hoped the shouting behind her was coming from guardsmen on foot and not knights on horseback, or else she’d be caught and killed in an instant. Fortunately, the old tower where the assassins had made their dwelling was not far from the southwestern gate. It was decrepit, abandoned – a relic, perhaps, of older times when the walls to the City had been shorter and the Empire half its current size. As she drew close to its shadow, she turned around and, with all her strength, pushed one of the merchant’s wooden crates out of the back of the cart. Then she pushed another, and another, and at last she fell right out of the wagon along with the last one. The fall nearly knocked the wind out of her. She stood up, gasping for breath, smelling the rich aroma of smashed fruit coming from the boxes she’d dumped. Looking back the way she had come, Whisper saw the rushing horde of guards. To her eyes, they looked like a charging army, all clad in glinting steel and red tabards. Behind them, further down the street, she could just make out a few men on horseback coming to help. That was her cue to run. Again operating on instinct, she grabbed the first visible handholds on the wall of the assassins’ tower and started her ascent. Luckily, the stones of the old building were uneven and easy to climb. She was more than halfway up by the time the guards with bows and arrows arrived. The first arrow startled her, bouncing off the wall right beside her head. The second actually imbedded itself in a crack between two stones, where it stuck tight, quivering before her eyes. She could hardly believe that they would actually fire on her. Perhaps they couldn’t see she was just a little girl, because of the long black cloak and quiver of arrows. Or perhaps she wasn’t as little anymore as she still thought. Or perhaps they just didn’t care. But the gods must have been looking out for her that day, for none of the arrows struck true. The closest one lodged itself in her cloak and dangled there, upsetting her balance slightly, but she paid it no heed as she finally reached the window at the top of the tower and hauled herself inside. In she tumbled, rolling along the floor, and then she jumped to her feet, dagger drawn. But to her shock, there was no one inside. The storage room at the top of the tower seemed to be exactly as she had left it. Still, Whisper wanted the guards to follow her inside. So she grabbed one of the black Messenger daggers and prepared to drop it out the window, hoping they would recognize it. Then she paused. With sudden fury, she put the dagger back into its crate and picked up the entire box instead. With a great groan of effort, she lifted it to the window and dumped them all out, dropping the box behind them. The crash of the cascade of metal daggers died away amidst the clamor of the guardsmen shouting and moving about in their armor. Whisper dared a peek over the edge to see one of the mounted knights taking charge. A guardsman handed him a dagger, and he began shouting orders, so loud that she could hear. The soldiers gripped the iron rings to fling the doors open and found that there was no lock, no bar blocking their way. The doors swung out quite easily on their hinges. But they were not expecting what waited behind them. Whisper withdrew back into the tower. Her job here was done. She could leave now, and let the Watch and the Legion handle the rest. And yet, something compelled her to stay. Was she worried for the fate of the children in the tower? Or did she just desire closure? A part of her wanted to put an arrow through some of the Messengers herself, at least through the Mother… and Hanan al-Saffah. Almost against her own will, she found herself crouching on the floor, finding the same hole through which she had climbed earlier that night. She slid down onto the rafter again and listened. Immediately she could hear the voices below. The children were all out in the main room, in the Box. And at least some of the assassins were there as well. Whisper drew out an arrow and nocked it to her bowstring, then peered down as cautiously as she could. Whisper looked at the faces of the children. A few were angry, but most were confused or even sad. A few had tears in their eyes. And there was Shade, looking utterly distraught, as if the sun might never rise again. Whisper felt disgusted at how easily this cult had brainwashed him, and all the others. So, settling herself into the most secure position she could manage, her back nearly flat against the low rafter, she drew back her arrow and sighted down the shaft. She aimed first at Willem… but she could not shoot. There he was, smiling his smile of twisted benevolence, of willful ignorance of the evils he was committing. She could not put an arrow through that smile. So she moved her sights to Seona, the tall and regal Ljosalfar. There she stood, her hair and face so fair, her features as cold and beautiful as the finest marble statue. Whisper’s kindred – the only other elf she had ever known. She could not shoot her either. Why did it have to be them? Why couldn’t it have been al-Saffah? She could have put an arrow through one of his black eyes as easily as breathing. But as she lay there imagining it, she felt another sensation grip her: fear. What if she missed? If al-Saffah showed himself, and she gave away her position to him, he would hunt for her. He would make her feel as helpless as she had felt that day he had interrupted her fight with Shade… when he had pinned her to the floor and hurt her. Whisper cursed herself. Perhaps she was brainwashed too. Suddenly the voices of the assassins and the children were all drowned out by the reverberating boom of a battering ram against the building’s stone wall. Whisper held on tight as the rafter began to shake beneath her. Dust and debris tumbled from the ceiling. Some of the children screamed. So the assassins ran to join her, heading into the room with the stairs leading below, and closed the doors on the children behind them. The kids began to panic, their voices echoing off the shaking walls of the stone chamber. Whisper decided it was time for her to leave as well. There was nothing she could do for the children below. The Messengers would no doubt close off whatever secret escape route they were using, and there were no other exits. She could try to help some of the kids up to the rafters with the ropes, but it would be slow and dangerous. The soldiers would breach the wall soon. She just hoped they would treat the kids well. So Whisper climbed back up through the hole and out into the night. She watched from a distant rooftop as the First Imperial Legion smashed through the wall of the assassins’ lair and found the children inside. The orphans were quickly herded out and led down the street, to be taken… somewhere. Probably to temples, like the Temple of Artemis where Whisper had been raised. Whisper kept an eye out for Shade, but he apparently slipped away and disappeared so fast that she never spotted him. He had no intention of being taken to a temple… or a prison. Instead, he joined her on the rooftops. It was daybreak by the time he found her. The sun’s first rays were barely visible in the sky, not yet having touched the city itself, which still lay in the shadow of its great walls. Whisper was looking up at the fading stars when she heard Shade’s signature footsteps. “I’m glad you made it out,” she said, but when she turned around, she saw that Shade was furious. The surprise on Whisper’s face began to fade, giving way to anger. “Well, go off and join the Legion then! Go murder people for the Empire, under the centurion’s whip! I’m sure they’d be happy to take a skinny little elf pixie girl!” Shade paused then, as if immediately regretting the insult. At that, Whisper stood up, ran toward Shade, and shoved him to the ground. He looked up at her with a confused expression, rather than the angry one she had expected. But she did not relent. Shade fell silent. He stuck out his lower jaw, hauled himself slowly to his feet, and brushed off his clothes. Then he stuck his hands in his pockets and made a big show of rolling his shoulders, as if trying to shrug nonchalantly. Whisper didn’t buy it for a minute. He was a terrible liar. For a second or two he stood there, waiting for her to make a comeback, or to take back what she had said. But she just stared at him, her green eyes narrow, cold and impassive. For some reason, Shade suddenly thought she looked more like an elf than ever, standing there proudly in her new dark leather, with her black cloak and bow and arrows. She almost looked like Seona. “G’bye, Whisper,” he mumbled, and then he turned around and walked away. Whisper slept the day away in various old haunts of hers, in coarse beds on rooftops and in abandoned corners of the city. Whenever she found she couldn’t sleep well, she moved on to her next hideout and tried again. This continued until the evening, when she decided it was time to go to work. No one would be providing her meals that night, or any night in the foreseeable future. She would have to steal them on her own, like always. But that was okay, she told herself. She was good at it. And so she went out, and she found enough food to be content. And then she made her way to the top of the tallest tower she could reach, just to look down. She looked down on the tall, thin buildings that crowded the narrow streets of the City below. Their long faces were the faces of old friends – her only friends. They were impassive friends, made of wood and stone, uncaring. They were not looking out for her. But she was looking out for them. Man, Scorp, that was incredible! You managed to not only get me to root for Whisper, but you managed to make me feel sorry for the Silent Messengers, too! I'm sad this is the last part, but it was a really great ending! The character's passions and emotions are very real, and the descriptions are vivid. You always manage to immerse me in the realm of Wulfgard for the duration of the story. I really appreciate the look into the lives Silent Messengers and their life style; all the small details about the phratry of murderers really help to flesh them out as real people, but still instill the fear of being incredibly skilled assassins. Excellent story dude! The first section is well paced. I can't tell you there is nothing I hate more than a lore dump. It was easy to follow and not at all difficult to understand what was going on. I enjoyed the character Hanan. I like those antagonistic/evil/jerk characters that are usually the centre of hatred for the protagonist. They bring about flavour in a story. And that whole scene with Hanan dragging that dagger across Whisper's neck was wicked. As for the ending, it was perfect. A part of me hoped the two of them would duke it out, kinda like the duel between Anakin and Obi-Wan. But that would have dragged the story further than it should have. Anyways, loved the story, guy. I also appreciated the good balance you struck with this: there is enough shown about the characters to figure who they are, but enough left unknown to leave room for character development and drive the plot; it was smooth and pleasant reading; things don't happen too fast or drag out too long; and the descriptions are detailed enough to get across what kind of a world this is while leaving enough undescribed to let us imagine it for ourselves. A good read so far, Scorp, I hope you keep the writing up. Bravo! Thanks for reading, guys! Appreciate the responses. Glad you enjoyed it. Yes, I intentionally avoided mentioning any lore at all in the first chapter. The fact that the story is even fantasy or set in Wulfgard is revealed only gradually. Hanan is definitely fun to write. I was torn on whether or not to have Whisper duel someone in the end, but I decided against it because it wouldn't seem realistic for her to win if they were really trying to kill her, and it also wouldn't mesh well with some of my future plans. Marksman Of The Jagged Edge. Wow! Your skills in writing are amazing! You have just been... Intellectually Enlightened. You just activated my Alu-card. Added some cool cover art by Harry Monster - scroll to the top to see it! I also fixed a few typos in the story, and I'm moving it to the Wulfgard board so it will use the Wulfgard skin when I link to it on the site.